Ready to step up your search? Our hassle-free registration process lets you browse homes at your own pace. Sign up for free to create a personalized Arbor Trace real estate search profile, which will allow you to bookmark your favorite listings, save your searches, and more. You can even request that listings matching your SW Florida homes for sale search criteria are automatically sent to you, right when they're listed! We make it easy to find your next home in Del Webb. 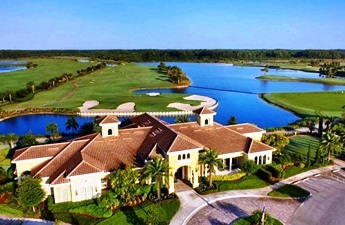 Located in the 5,000 acre Ave Maria master planned community just about 25 minutes northeast of Naples, Del Webb community owners enjoy fantastic amenities and beautiful new single family homes that range from $165,000 to over $300,000. You may select from one bedroom homes of over 1,000 square feet up to nearly 3,000 square feet and 20 different models constructed by Pulte. Seven professionally furnished models open daily. As an added incentive, residents of Del Webb Naples will enjoy the use of the brand new Oasis Club, a world-class amenity center featuring over 12,000 square feet of entertainment and fitness space, resort and lap pools, tennis and bocce ball courts, café, art studio and an 18-hole championship golf course. The community is centered around a quaint Town Center that provides residents with many of life’s necessities. Within the Town Center, you can make a new friend over a cappuccino or treat the kids to a fruit smoothie after school. Friends and families gather nightly at the local pizza shop or meet up to sip a few beers at the pub. Boutique shops, salons, a walk-in clinic, Publix supermarket are just a few of the many conveniences you will find at Ave Maria. A new addition to the community is Collier County Farms where you may pick or purchase fresh fruits and vegetables that are grown on 12 acres within the complex. Every owner enjoys social membership at the new Oasis Club featuring fitness, planned activities, catering kitchen, library, crafts, cafe, resort pool and spa, pickle and bocce ball, tennis, locker rooms, steam and sauna. The amenities at the Oasis Club are world class and just what adults seek in their retirement communities - like minded friends known by their first names, our warm SW Florida sunshine, and a town center where families, students at Ave Maria University share a multi-generational lifestyle. The completed 18-hole Golf Club at Del Webb is a magnificent Troon Golf course that winds through the Del Webb community. The Golf Club at Del Webb was designed by legendary golf course architect Gordon Lewis. It includes a large practice facility with an aqua driving range, five practice greens, a short game area and a fully stocked pro shop. 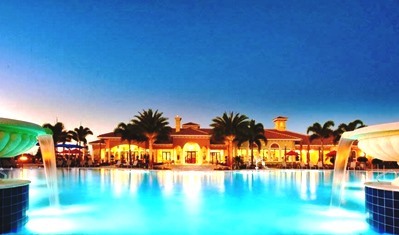 Residents of Del Webb Naples receive a complimentary membership with their home purchase. Members enjoy discounted green fees or can purchase full golf memberships that offer unlimited golf. Del Webb residents may enjoy just the age restricted amenities or The Club Campus. This 36,000 square-foot facility will host a resort-style pool, ballroom, billiards room, craft and hobby studios card rooms and more. The Club Campus will include a beautiful veranda that overlooks the golf course. Gulf Coast Associates, Realtors will provide you with floor plans and the site plan for Del Webb upon request. Just send us an email or use the form below! We'll be happy to help. Questions About Del Webb Real Estate? If you have additional questions or would like to get started on your search for Del Webb real estate, please don't hesitate to contact us.